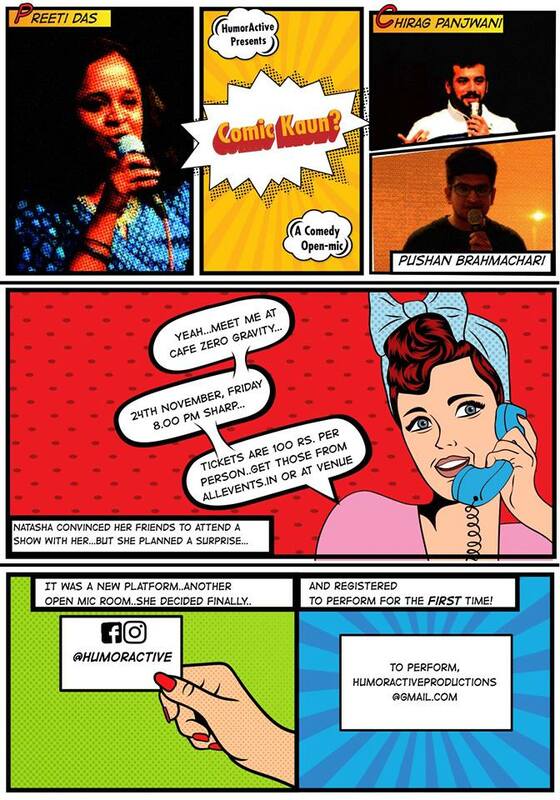 It’s officially the ‘Comics’ month (if that’s not a thing, it is now) with all the comic-books based movies and comic-cons around the world, here we are presenting the latest stand-up comedy open mic from HumorActive. The show will be headlined by Preeti Das from The Comedy Factory and hosted by Chirag Panjwani. Also, Pushan Brahmachari does an open-spot. Come to try your new jokes or come to laugh at/with us trying new jokes. To perform, send e-mail to humoractiveproductions@gmail.com. Come to Comic Kaun if you can’t go to comic-con! Geddit? Sorry.